Auckland is growing in popularity as a destination for international conferences. One recent highlight was the 11th World Congress on Genetics Applied to Livestock Production (WCGALP), which attracted more than 1,400 leading scientists and researchers at the Aotea Centre. Auckland Advocate Alliance member and Massey University Professor of Animal Science Hugh Blair was the local committee chair and integral to winning the conference. Why did you want to bring WCGALP to New Zealand? Since the time of Professor Al Rae, one of the founders of modern animal breeding, New Zealand and Massey have been considered world leaders in the implementation of genetics. 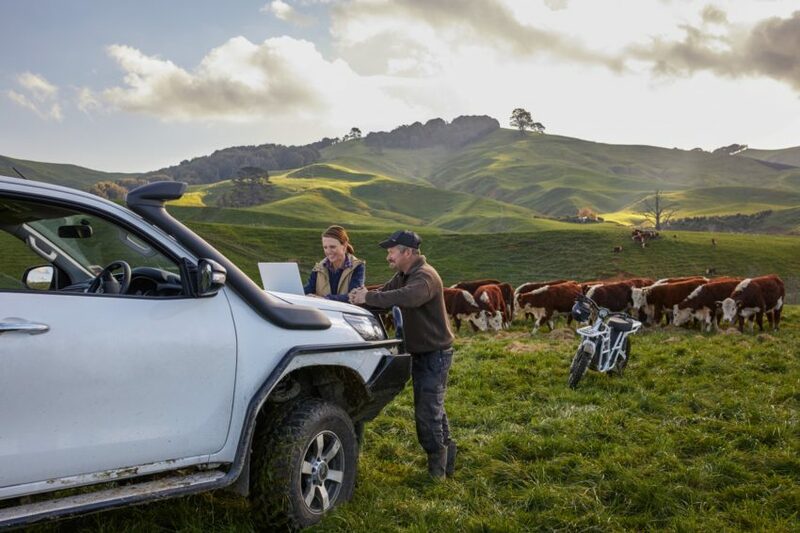 The congress provided an exciting opportunity to showcase New Zealand’s strengths in using genetics to improve the production and health of animals and plants. Additionally, international leaders in this field came to New Zealand to share their latest developments. There are benefits in terms of these experts meeting and presenting to a new generation of our young scientists. The conference saw the presentation of 873 papers, which included seven Massey University PhD students presenting their research results in front of this prestigious international audience. Hosting the conference may yet yield more benefits, with visiting specialists collaborating with local experts on their research. Why was Auckland a good host for this event? Everyone was really excited when we won the conference. People were saying ‘We have always wanted to go to New Zealand and now we have a reason’. A lot of people stayed on to take holidays. In the post-conference survey 83% rated Auckland as very good or excellent. Auckland is where the majority of international visitors fly in – we had attendees from 70 countries. Also, it has the venues with the capacity to host such a large event. We went with Aotea Centre, because it was a bit quirky, and it has lots of room for networking. Best of all, you can step right out onto Aotea Square. We wanted to have a BBQ to finish the event so we needed an outdoor venue. It was the most beautiful evening, it had such a nice feeling. There was a band and food stations and nearly 1,000 people dancing and enjoying themselves right in the middle of the city. It really showed our Kiwi hospitality. The opening social function at the waterfront Viaduct Events Centre, with New Zealand food and a Maori cultural experience, also really set the scene. Auckland is also a great launch pad for the rest of the country, and was a hub for our field trip programme, allowing us to tap into local expertise. What was the most successful aspect of the event? We sent delegates on 10 field trips to showcase New Zealand’s sheep, beef cattle, deer, equine, dairy sheep, aquaculture, forestry and kiwifruit industries. Every one of those trips had a bit of ‘tourism’ associated with it. The Hobbiton movie set is actually on a ram breeding farm, so we visited the farm, then had a fantastic dinner put on at the venue. The group who went to discuss kauri in Northland ended up visiting a marae; the aquaculture field trip to Waiheke Island incorporated a wine tasting at a vineyard; the Hamilton trip included a visit to Waitomo Caves. Everybody came back buzzing. They had a great time enjoying the country and got to see how New Zealand applies the science in the primary production sector. It enabled us to puff our chests out and say ‘we’re pretty good at this’ on the world stage. How was the rest of the programme received? The quality of the technical programme was rated 80% very good or excellent. AL Rae Centre’s Chief Scientist Dorian Garrick, and consultant Brian Wickham played a big part in arranging the knowledge programme. They are both very well known internationally and I have no doubt the success of the content was down to their expertise. What support did you get in hosting the event? Giuseppe Marletta joined the Association of Corporate Counsel (ACC) in February this year. As a member of Boardroom Advisory Board, we have asked him to contribute a column on his experience as he goes about his new role. This is Giuseppe’s first contribution and it’s all about association membership. The capital of Britanny, Rennes is a vibrant yet quite relaxed city, the place to enjoy some Breton culture and medieval heritage. As a knowledge hub, it’s a leader, among many fields of endeavor, in health technology.